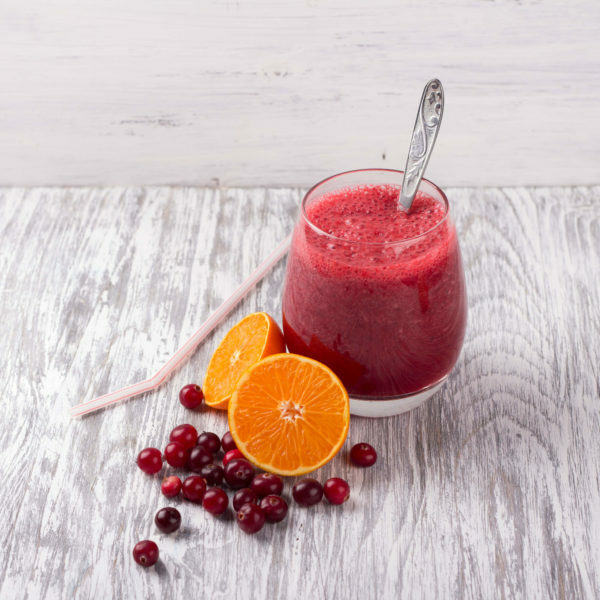 Cranberry and citrus come together to bring you a smoothie packed full of Vitamin C. This smoothie is bursting with bright flavors! Place all ingredients in a blender and blend until smooth. Pour into a glass and garnish with leftover orange peels, if desired. *Oranges can be substituted for your choice of citrus. Tangelos, tangerine, mandarin oranges all work well in this smoothie. *Greek yogurt can be substituted for cranberry or orange juice. *Add a few ice cubes if you desire a thicker texture.